I bet you have already heard of many health benefits of green tea and now you want to learn which brands of green tea are the best. I have looked all over the internet and e-shops to discover the best of the best. There are lots of green tea natural flavors depending on the type of tree, the country of origin and the processing. Some may be sharp and earthy, while others produce a sweet or nutty flavor. There is a list of top 10 brands that are according to my personal opinion truly excellent below. Just keep in mind that this list has no winner or loser as all these brands are great and worth a try. 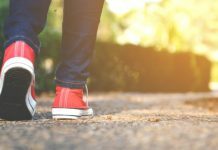 All you have to do is to learn about individual benefits, disadvantages, and taste of each green tea and find the one that will suit your taste buds the most. I have been looking all around to discover the country of origin for Twinings green tea but I was not able to discover it. Twinings uses a Sencha-style green tea. Sencha is usually grown in a direct sunlight and tends to be harvested in the first or second flush of leaves. It is said that tea leaves from the first harvest are usually the best quality. Once picked, the tea leaves are steamed, dried out, and rolled. Rolling the leaves gives them their needle-like shape and also helps release all the juices inside of the leaves, thus intensifying the flavor. 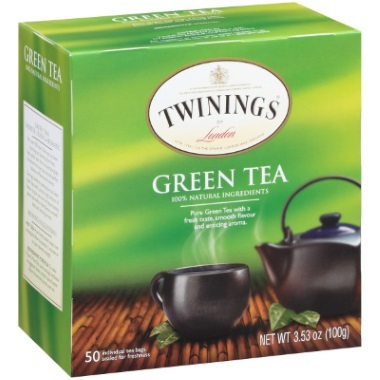 The taste of Twinings green tea is really smooth and has typical mild characteristics. Once brewed, this tea produces a pleasant golden color. Harney & Sons green tea comes from Japan and is usually harvested (handpicked) in the spring. Green teas that come from Japan are considered to be of higher quality than those coming from China due to lesser toxic pollution. Not only that, this tea is categorized as Sencha (futsumushi) and the leaves are a medium lime green color. 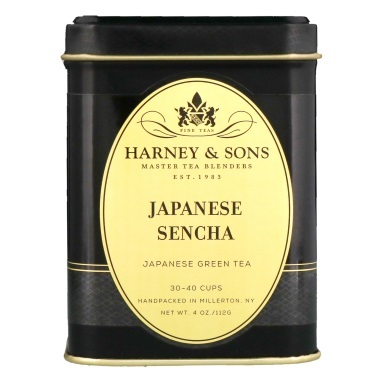 With regards to aroma, Harney & Sons Japanese Sencha has pleasant spinachy notes, with slight roast flavors that are similar to toasted bread. This is a very pleasant green tea that provides the mild vegetal flavors with light accents of citrus and toast. I have to say that this premium green tea is light and delicate. Once brewed, this tea is of a medium green color. Did I say that Harney & Sons brand of tea is kosher? 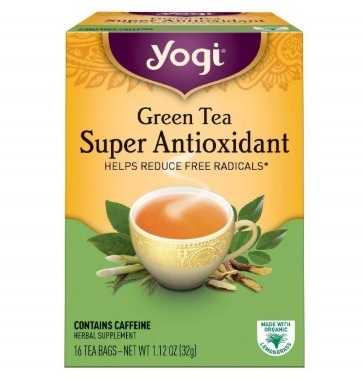 The Yogi Super Antioxidant Green Tea is an excellent choice for those who want to fight free radicals. Sadly, I was not able to discover any info on the country of origin of green tea used. Also, I was not able to discover what type of green tea is used, but I suppose it is a sencha-style. With regards to aroma, Yogi enriches its Super Antioxidant Green Tea by amla extracts and grapeseed as these two ingredients provide a potent supply of antioxidants aimed at reducing free radicals within body. Not only that, this tea also includes organic lemongrass with a citric flavor, licorice to add to the sweetness and jasmine for a floral note. What is more, this brand is kosher. Kirkland Ito En green tea comes from Japan, a country that is believed to provide high-quality teas that have much lesser pollution by toxins than others (for example those teas coming from China). Not only that, Kirkland Ito En claims that this green tea comes from one of the best tea plantations on the planet. What I consider very interesting is the fact that this tea is a special blend of Japanese Sencha and Matcha types of teas. The leaves are gently steamed and then rolled before being dried. This process helps to preserve the aroma, color, and freshness of the tea leaf given it stops oxidation. 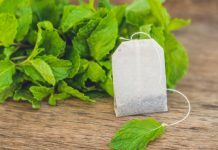 The flavor of this tea is somewhat sweeter than other teas on this list thanks to the addition of matcha. Also, thanks to this ingredient your tea will have a much greener color. 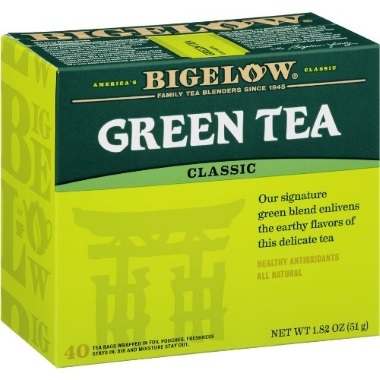 The Bigelow green tea includes leaves that grow at high altitudes. Upon harvest, they are processed to produce an even flavor. Sadly, I was not able to discover a country of origin of used tea leaves. This company claims that they use only handpicked leaves that are gently processed so they can bring out that natural flavor. I have to say that some green teas can be a bit harsh or even bitter. That is not the truth with Bigelow green tea as it’s taste is not too grassy and is a lot smoother than other teas I’ve tried. The best part? Tea bags come in a foil pouch that protects the tea from the air, other aromas, and moisture. 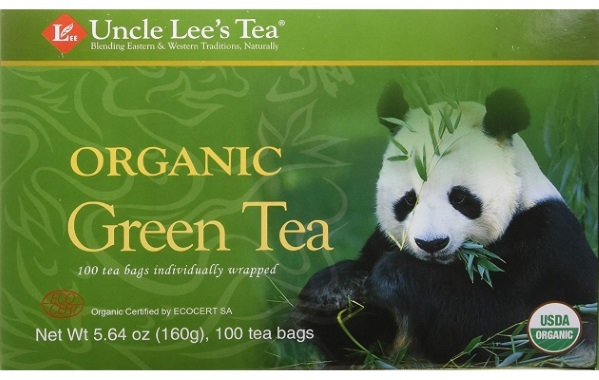 Tea leaves used in the Uncle Lee´s Organic Green Tea are coming from the high mountains in the Fujian Province of China and are grown without pesticides, with natural fertilizer and with careful attention for the preservation of the ecosystem. This tea seems to be a sencha-style that has a very pleasant aroma and smooth taste. I like the fact that each tea bag is individually packed in an oxygen-bleached paper bag that is fully compostable. 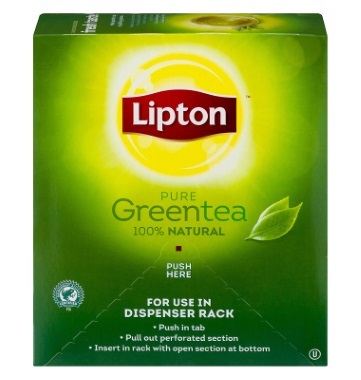 The Lipton Pure Green Tea is made from the finest tea leaves all around the world. Sadly, I was not able to discover more info on the location where this tea is grown and harvested. However, Lipton embraces sustainability when planting and harvesting tea. 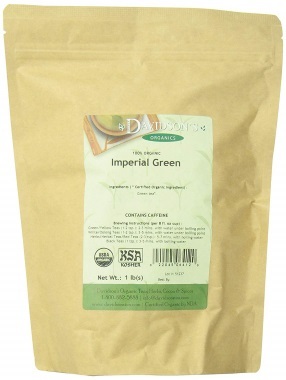 This brand of green tea is Rainforest Alliance Certified and contains no preservatives, coloring or additives. I bet that this tea is also a sencha-style as its aroma is delightful and its taste is fresh, light, and non-bitter. 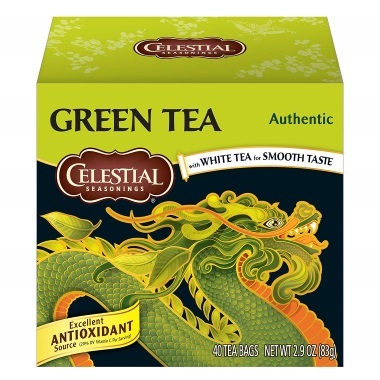 The Authentic Green Tea by Celestial Seasonings is made from leaves that are quickly dried after the harvest to preserve their vibrant color and naturally occurring flavonoid antioxidants. Sadly, I was not able to discover any info on the country of origin and location where this tea had been growing. This tea blend is very interesting as it is a combination of green tea, an infusion of Bai Mu Dan white tea, and a vitamin C. The white tea adds a much smoother flavor to your cup and vitamin C adds more antioxidants. Just keep in mind that vitamin C degrades in a hot environment so try to use just warm water to make your cup of tea. 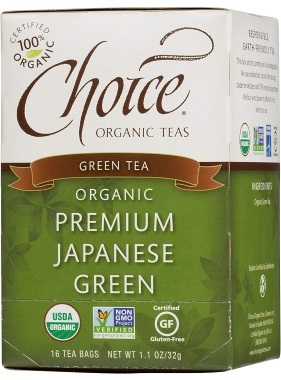 This premium organic green tea by Choice Organic Teas comes from Japan. It seems like it is a sencha-style tea that is made from the early spring harvest. Then young and tender leaves get briefly steamed to retain their vibrant, green color. With regards to aroma, you can notice some earth, seaweed, and tannic in it. The box and tea bags come from natural recycled ingredients. The box is 100% recycled and biodegradable, with it being 65% post-consumer content. The bags are of natural fiber that has not been bleached and contains no staple as almost every brand does. It is Fair Trade Certified, Non- GMO Project Verified and USDA Organic as well as kosher and gluten-free. Tea leaves from 100% Organic Imperial Green by Davidson´s Organics are grown and harvested in south India in a bio-dynamic estate. This product goes through strict quality control and every packet is sealed to keep the freshness intact. Not only that, this green tea is free of GMOs, dairy, pesticides, and other harmful substances. It has a robust deep flavor that is refreshing and a light and smooth taste. The best part? This tea is USDA Certified Organic and packed in a paper/kraft stand up pouch (SUP) with aluminum foil lining to maintain freshness. Though primarily an Asian beverage, green tea is equally gaining traction in the Western world due to its many health properties. Many like it for its low caffeine content; it can deliver energy without the side effects of coffee or even some brands of black tea. However, choosing the best brand may be problematic. Before you are going to purchase your green tea, consider the following features. With the increased popularity of green tea, many brands are masquerading low-grade green tea as a premium. Don’t know how to tell the top from low grade? 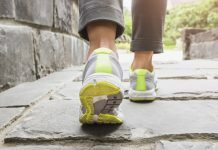 The lower quality ones tend to be bitter; essentially what gives green tea a lousy wrap from black tea and coffee drinkers. However, the better quality brands are sweeter and aromatic for balanced flavor. 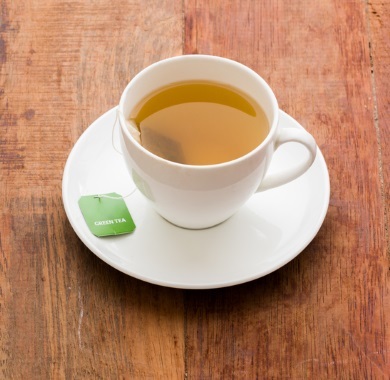 The aftertaste is light- you won’t have to reach for a more delicious beverage to wash away the aftertaste as you would with low-grade green tea. The price, however, doesn’t reflect the quality of the tea. The country of origin also matters. You want to pick a country that has a long history of growing, harvesting, and processing green tea. The top green tea producers are China and Japan. However, when doing your research, don’t shy away from those grown in India, Kenya or Sri Lanka, as they are among the top four largest tea growers in the world, China being the largest. For more aroma and sweetness, opt for spring harvested leaves grown at high altitude. That is because they are the first of the growing season. 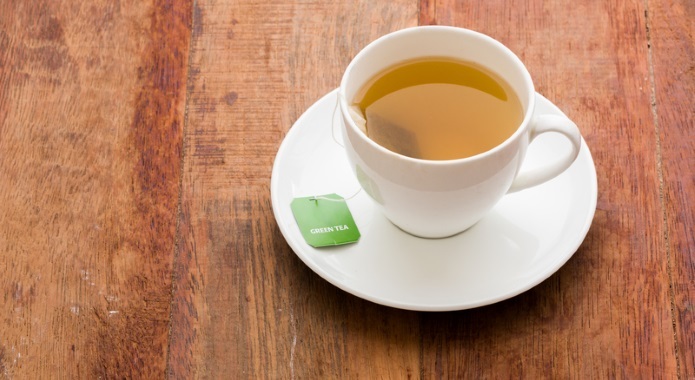 A mistake most people make is opening a pack of green tea and taking it over an extended period, often months. Once you break the seal, consume it regularly. Taking stale green tea is not a pleasant experience to have. Store the leaves or tea bags in an airtight container; light and moisture also tend to affect the taste. Use filtered or bottled water. 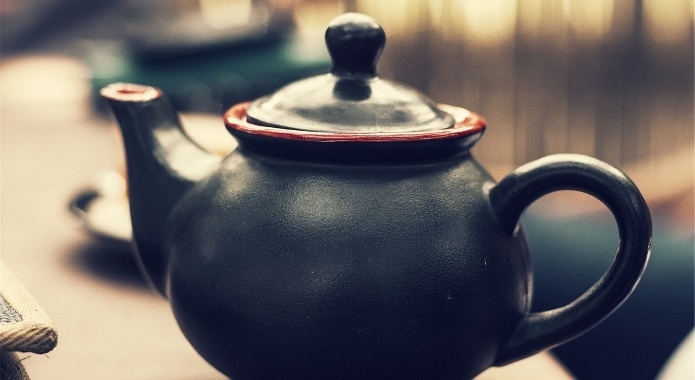 Avoid using boiling water – it tends to make the tea bitter. Depending on how you like your tea, you can add more tea leaves or bags to get the potency you prefer. If taking the tea bag route, allow it to seat in the water for 2-3 minutes to get the most out of the flavor. For using shorter leaves, brew for a shorter time. When reading reviews on the internet, note that tastes differ. Some people may find a particular brand too strong yet another group of people insists that it’s still too mild. Don’t let this affect your choice. Whether you’ll have to use the tea bag twice or add two into your cup is a matter of preference. The first noticeable benefit of green tea is that it contains less caffeine compared to other caffeinated drinks. Most brands fall under the 15-50mg of caffeine though most fall under the 30 mg range per gram of tea. You can take it in the afternoon without having to worry about losing sleep at night. It also helps with alertness without the jitters and withdrawals that come with consuming coffee. The best time to drink some is in the morning to jumpstart your day. Taking green tea at night is not recommended; though at low levels, it still contains caffeine and can cause mild insomnia. Green tea is known as an antioxidant, better than coffee, black or oolong tea. That has made it the go-to beverage for persons wishing to lose weight. The catechin epigallocatechin gallate (EGCG) levels are 2.31mg- 203.20mg per gram of tea. Catechin, along with L-Theanine, also acts as a relaxant. It affects the central nervous system, which brings about that relaxed feeling only the best green teas are known for. It also works as a great stress reliever. EGCG is also excellent for the epidermis, leaving you with improved skin. Apart from being an antioxidant, green tea has anti-inflammatory, anticancer and antimicrobial properties. More green tea is not equal to better. Taking more than five cups a day can cause sleeplessness, headaches, irregular heartbeat, vertigo, heartburn, nausea, and vomiting. Do not consume on an empty stomach as it can cause gastrointestinal issues. Pregnant women ought not to take green tea, nor those with pre-existing medical conditions such as irritable bowel syndrome (IBS), liver damage, iron deficiency, obesity diabetes or anxiety due to the caffeine content. 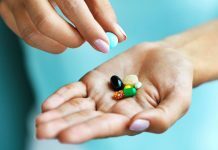 Consult your doctor if you suffer from any disease or are on medication as it contradictions or aggravated side effects could occur. Before purchasing green tea, do thorough research on the brand. Some manufacturers use pesticides on the tea leaves or leave them to oxidize after harvest, only to add coloring in the manufacturing process.